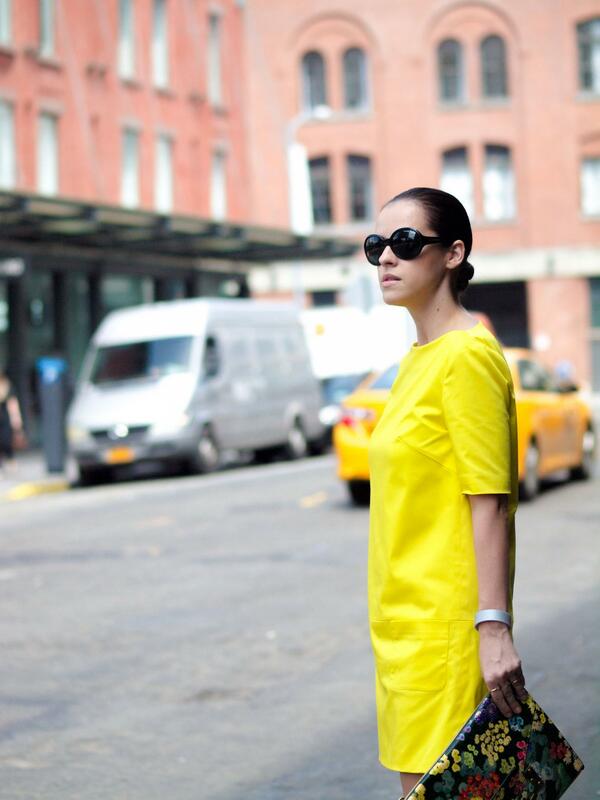 NYFW DAY 2 was a bright/colorful day. I decided to take it easy this year and see just a few shows per day and not run all over the city all day long... This time is different (because of being pregnant) and I want to really enjoy every moment. Second day, second outfit and my second day in a row wearing a dress. I must warn you that you’ll see me a lot wearing dresses at this Fashion Week, because right now are the only garments that I feel comfortable dressing with ( not to mention that I am a fan of feminine dresses, but you already know that). Dainty and Bold offers you 15% off your purchase on http://www.daintyandbold.com/ with the code bittersweetcolours15 (this code is available 1 week starting with today). Enjoy! 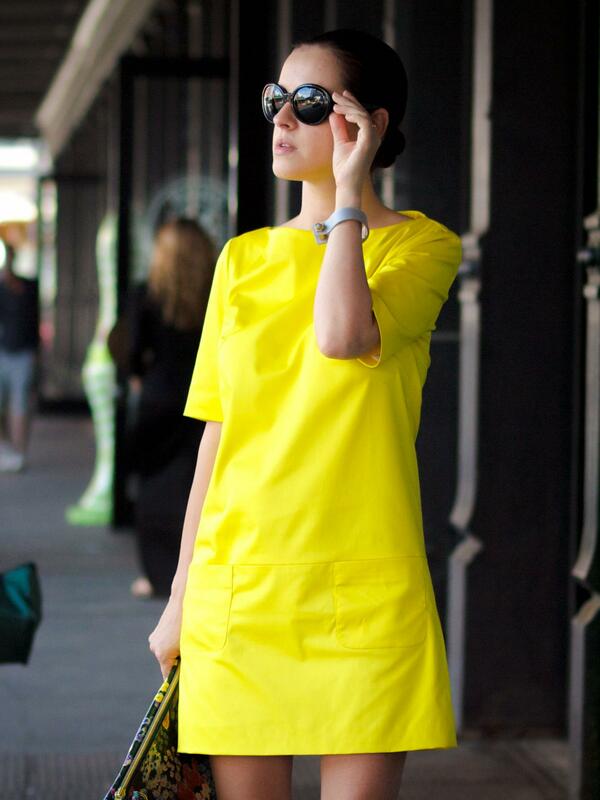 Perfectly styled, bright outfit! Love that clutch! Gorgeous!! 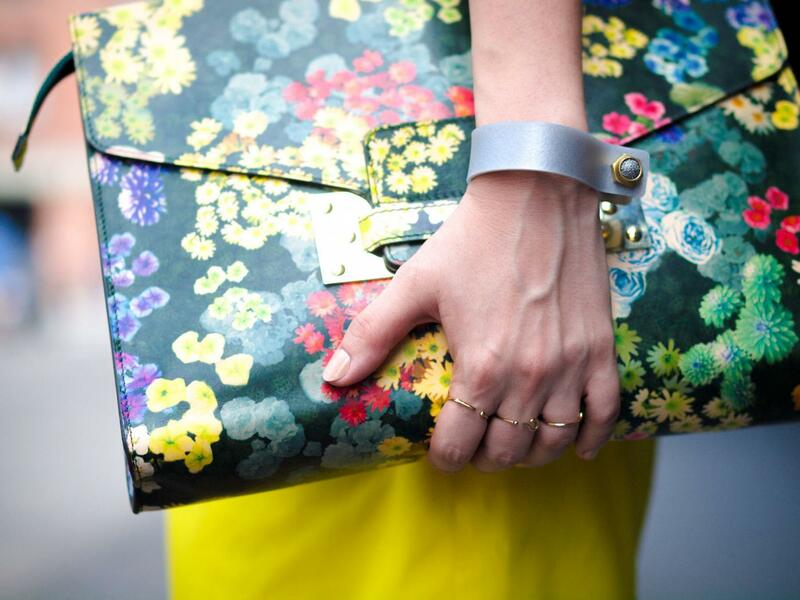 love the dress and how you have paired with colorful accessories! !